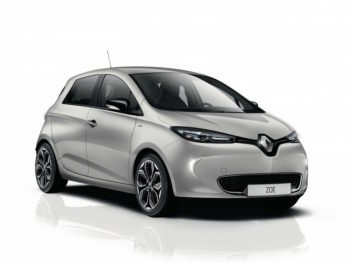 Renault has updated its Zoe electric supermini with a new S Edition trim that brings extra equipment for less. Replacing the previous Signature Nav version as part of a two-trim line-up, the S Edition brings a list of equipment above the entry-level Dynamique Nav, including BOSE stereo with DAB radio, rear parking camera, leather/textile upholstery, driver’s lumbar adjustment and 16-inch alloy wheels with a no-cost option of 17-inch alloys. Other standard features already seen on the Dynamique Nav include a hands-free keycard, rear parking sensors, automatic wipers and lights, climate control, and a leather steering wheel and gear knob. Front and rear electric windows, and electric, heated and folding door mirrors are also included as standard on all Zoes along with voice-controlled satellite navigation via an embedded tablet in the centre console that includes a seven-inch touchscreen. Both trims are offered with a choice of two motors: the 88bhp Q90 that’s been available since launch and the 108bhp R110 that debuted last year to replace the previous 92bhp R90 motor introduced in 2015. The Q90 Quick Charge motor allows for faster battery charging, from zero to 80% in 65 minutes with a 43 kWh charger. The R110 motor has an extra 19hp and has improved performance, especially between 50mph and 70mph. Both are mated to the Z.E. 40 battery and both have a WLTP-rated range of 186 miles. Buyers not wishing to lease the battery will pay a full purchase price of £25,870 for the R110 and £26,620 for the Q90.